Well, all you men and women of God, and militant church, this is a side of God, you’ve been waiting for me to teach. His name is Lord Sabboeth, God of armies, Lord of Hosts. (Josh 23:8 NIV) But you are to hold fast to the LORD your God, as you have until now. (Josh 23:9 NIV) “The LORD has driven out before you great and powerful nations; to this day no one has been able to withstand you. 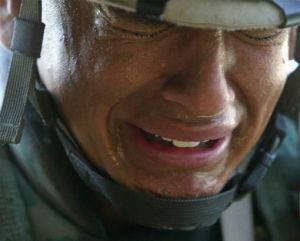 (Josh 23:10 NIV) One of you routs a thousand, because the LORD your God fights for you, just as he promised. 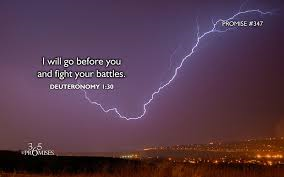 We see God Himself fighting for his people throughout the Old Testament. 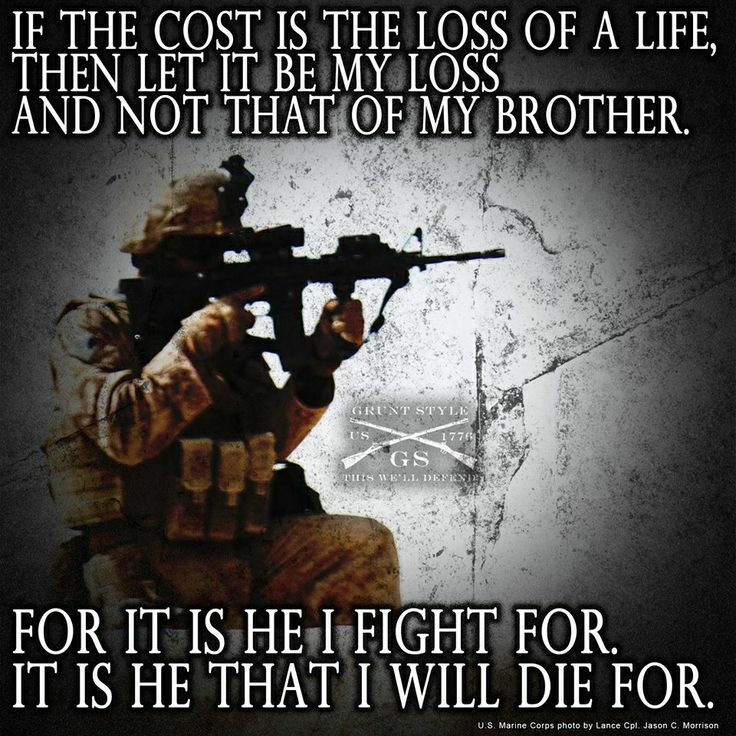 As your Father, He will fight for you, His child. Notice this: if you’re facing a fight, you’d better get a strategy from heaven before you engage. David was undefeated in battle, every time He sought God for a battle plan he won. When he went out in his own strength, he lost. So, you spiritual Rambo’s about blast devils and move mountains in this generation, hear this: Learn to be led by the spirit of God! 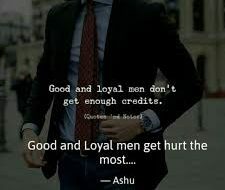 If you don’t, you may find like I have, pain has been a wonderful instructor. (Josh 10:9 NIV) After an all-night march from Gilgal, Joshua took them by surprise. How did he know to march all night? Prayer. He obeyed God. (Josh 10:10 NIV) The LORD threw them into confusion before Israel, who defeated them in a great victory at Gibeon. Israel pursued them along the road going up to Beth Horon and cut them down all the way to Azekah and Makkedah. Who threw them into confusion? The Lord! Our mighty warrior! (Josh 10:11 NIV) As they fled before Israel on the road down from Beth Horon to Azekah, the LORD hurled large hailstones down on them from the sky, and more of them died from the hailstones than were killed by the swords of the Israelites. Again and again, we see God act on behalf of his advancing army. Destroying our enemies, making them our footstool. (Josh 10:13 NIV) So the sun stood still, and the moon stopped, till the nation avenged itself on its enemies, as it is written in the Book of Jashar. The sun stopped in the middle of the sky and delayed going down about a full day. (Josh 10:14 NIV) There has never been a day like it before or since, a day when the LORD listened to a man. Surely the LORD was fighting for Israel! Look at these verses! That the authority God has invested in us, His church operating in the earth. When we get full of the Holy Spirit, and begin to operate in greater obedience, God can release in us, greater anointing. You recall how God did a similar miracle here in the summer of 98. For six weeks we held outdoor meetings, and each week as we set-up, it rained. Yet, by faith, we set-up our sound system anyway, set ourselves in agreement, and decreed in the authority of God, “Rain, we command you to stop, sun come out, wind stop, that the gospel be preached here.” Instantly, the rain stopped, the wind died down and gently blew the clouds out of the way, and the sun shone down producing a wonderful, warm atmosphere where we had some great meetings. Well, how did Joshua do this? He had to see himself in the word of God. Faith hasn’t changed; it still comes by hearing and hearing by the word of God. So, what word did Joshua base his faith upon? All he had was the first five books of the Bible, the Pentateuch, and the Law of Moses. Could he have read? 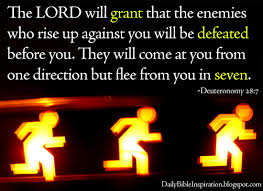 (Deu 28:7 NIV) The LORD will grant that the enemies who rise up against you will be defeated before you. They will come at you from one direction but flee from you in seven. Obedience produced boldness. There are great blessings in obedience. Ok, we see this again and again in the Old Testament. (Isa 37:36 NIV) Then the angel of the LORD went out and put to death a hundred and eighty-five thousand men in the Assyrian camp. When the people got up the next morning–there were all the dead bodies! So, pastor Chris, why are you telling us about all people God killed. God loves us right? Yes, but He hates evil. I hear these carnal Christians set in their sin, years after accepting Christ, pleading “the blood, the blood/” over their sin. Yes, for all of you here. That’s some good word to put in your heart and mouth. Also, the imparted righteousness that’s yours as a blood-bought child of the king. These truths, studied and acted upon will guarantee you’ll never have to face what I’m about to say. There comes a time, when we know better to do a thing, yet we insist on doing it anyway, for years. Satan makes sure God hears about it, he goes before God as the accuser of the brethren, determined to kill you when you make a mistake. The wages of sin are still death, and he’s a murderer. .At that point, God Himself determines to deal with the issue, whether you want to or not. When that day comes, people either let God break them, and go free, or they die. Proverbs 29:1 ¶ He, that being often reproved hardeneth his neck, shall suddenly be destroyed, and that without remedy. We see this again in Joshua Chapter 5: 13 ¶ And it came to pass, when Joshua was by Jericho, that he lifted up his eyes and looked, and, behold, there stood a man over against him with his sword drawn in his hand: and Joshua went unto him, and said unto him, Art thou for us, or for our adversaries? Some Bible scholars have called this a theophonay, a preincarnate appearance of the Lord Jesus Christ. Whether an angel or the Lord Jesus Christ Himself we don’t know, but the point is this as leaders. We are but representatives of the great king. No matter how many gifts, how much authority He gives us, He is Lord. 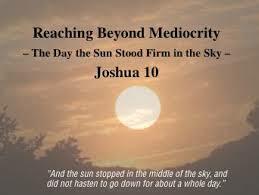 When He begins to act in our lives, we need to do like Joshua, and bow, fall on our face, worship, and then obey. (Rev 1:18 NIV) I am the Living One; I was dead, and behold I am alive forever and ever! And I hold the keys of death and Hades. God is love. So if He has a choice of sending on of His children to hell, or allowing them to die, he lets them die. 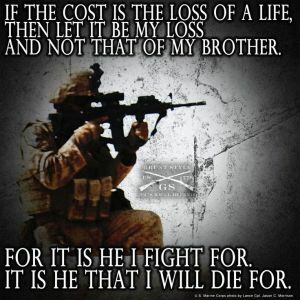 In light of eternity, this is a small thing, even though down here, it’s sure hard on families and friends. People leave a big hole when they are gone. As we learn to fight the fight of faith later in this life, I will teach you to wield the word of God as Jesus did, effectively thwarting the devils attacks with “It is written!” and establishing God’s kingdom through faith-filled words. Ok, enough heavy-revvy. 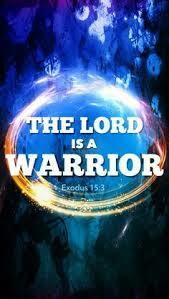 Let’s see the Warrior Heart of Father God at work in the ministry of our Lord Jesus. Let’s look at the account of the death of John the Baptist, Jesus pastor, and best friend in the earth. (Mark 6:17 NIV) For Herod himself had given orders to have John arrested, and he had him bound and put in prison. He did this because of Herodias, his brother Philip’s wife, whom he had married. Hear this, truth will make strong-willed people angry. Yet, the Bible also says that the fear of man brings a snare. If you are going to succeed in life, you need to decide right up front, to be a God-pleaser rather than a man-pleaser. (Mark 6:20 NIV) because Herod feared John and protected him, knowing him to be a righteous and holy man. When Herod heard John, he was greatly puzzled ; yet he liked to listen to him. (Mark 6:21 NIV) Finally the opportune time came. On his birthday Herod gave a banquet for his high officials and military commanders and the leading men of Galilee. See this? Any of you Bible scholars remember these words from another place in Scripture? See what happened here? Years before, one little queen went before a righteous king, taking her life in her hands, on behalf of her people, the people of God. This king heard her, and through this event, God moved and delivered His people. Now, we have another queen, with murder and political intrigue in her heart, appearing before a drunken tyrant. Satan or one of his demons inspired the whole thing, trying to stop the word of God out of the mouth of John from being spoken in the earth. He was successful, and the blind, drunken king yielded to his concubine, and had the man of God, murdered. (Mark 6:24 NIV) She went out and said to her mother, “What shall I ask for?” “The head of John the Baptist,” she answered. (Mark 6:26 NIV) The king was greatly distressed, but because of his oaths and his dinner guests, he did not want to refuse her. (Mark 6:28 NIV) and brought back his head on a platter. He presented it to the girl, and she gave it to her mother. (Mark 6:29 NIV) On hearing of this, John’s disciples came and took his body and laid it in a tomb. Notice, the response of John’s disciples: they went and told Jesus. When horrible things happen, that’s good advice. You too need to ‘go and tell Jesus’. (Mark 6:30 NIV) The apostles gathered around Jesus and reported to him all they had done and taught. Obviously, the death of John hurt Jesus deeper than any of us can comprehend. John was perhaps the only man on the face of the planet who truly knew who Jesus was. Jesus decided, enough is an enough, I need a break, and so do you, so He headed out to the desert, away from the crowds. (Mark 6:32 NIV) So they went away by themselves in a boat to a solitary place. (Mark 6:33 NIV) But many that saw them leaving recognized them and ran on foot from all the towns and got there ahead of them. Remember, Jesus only did the will of the Father, right? See here. We know the blood of Jesus has a voice in the heavens and the earth, a voice greater than Abel. (Heb 12:24 NIV) to Jesus the mediator of a new covenant, and to the sprinkled blood that speaks a better word than the blood of Abel. So it was with the blood of John the Baptist. When John’s head was cut from his body, his spirit went to paradise, or Abraham’s bosom. Yet his blood was spilled, and it too had a voice, that ascended through the heavens to cry ‘justice’ before the very throne of God, our Father, judge of all the universe. Our Father, Lord Sabboeth, heard that cry, and saw the blasphemy of Satan against Himself, and immediately He acted. One of his servants had died, but there was another son in the earth, and He moved His hand against the kingdom of darkness. NIV is not strong enough here. KJV reads And Jesus, moved with compassion towards them. See it, Jesus moved with compassion, began to preach the gospel, heal the sick, and cast out devils, hitting Satan where it hurts. Taking back from him souls of men. 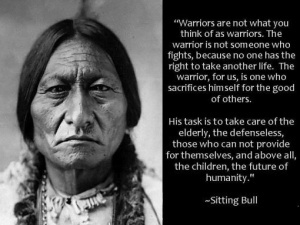 Our Father is a warrior who fights for the oppressed. (Mark 6:35 NIV) By this time it was late in the day, so his disciples came to him. “This is a remote place,” they said, “and it’s already very late. (Mark 6:39 NIV) Then Jesus directed them to have all the people sit down in groups on the green grass. (Mark 6:40 NIV) So they sat down in groups of hundreds and fifties. (Mark 6:41 NIV) Taking the five loaves and the two fish and looking up to heaven, he gave thanks and broke the loaves. Then he gave them to his disciples to set before the people. He also divided the two fish among them all. Well, for now, God has people like me and Karen exercising His authority on your behalf, but know this. You too, are called to be a deliverer in the earth. God sees you in this chair, and sees souls in your future yet to be reached with the gospel. You too are a son or daughter of God. God is growing you up so that the gift and calling of God upon your life will manifest, so that you can boldly say: For this purpose is this son of God manisfest, to destroy the works of the devil. What are the devils works? Lies, false religion, sickness, sin, and all that goes with it. There is an upward call of God on your life, a destiny to be fulfilled, a glorious future set before you. You are a miracle going somewhere to happen. A history maker, a nation shaker, full of mountain-moving, devil stomping faith. (Rom 8:29 NIV) For those God foreknew he also predestined to be conformed to the likeness of his Son, that he might be the firstborn among many brothers. Jesus is our big brother, as well as our Lord, but hear the words of the apostle Paul, a man who wrote two-thirds of the New Testament. 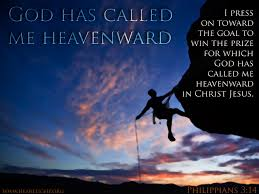 (Phil 3:14 NIV) I press on toward the goal to win the prize for which God has called me heavenward in Christ Jesus. Get in the press, stay in the press, follow hard after God, and don’t look back. In light of eternity, there’s nothing else worth living for! Read about Hezekiah in 2 Kings Chapters 18, through 20, Isaiah 36 and 37. What is the most important lesson we can learn from His life? Answer: He knew his covenant with God! Mercy triumphed over judgement because of the knowledge of his covenant with God, the covenant God made to Israel through David. I believe this and receive it as my heritage, in Jesus name, AMEN. 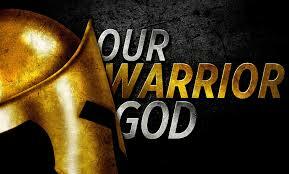 God is indeed a mighty warrior! He is merciful and mighty! High and lifted up! 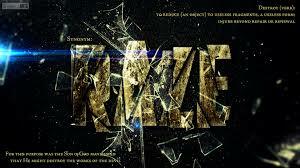 I love the results Hezekiah saw: they began to praise and worship, and God set the ambushes for their enemies! 2 Chronicles 20:22 And when they began to sing and to praise, the LORD set ambushments against the children of Ammon, Moab, and mount Seir, which were come against Judah; and they were smitten. Praise God! He is more than enough when we face merciless, vile and wicked enemies! All we need do is lean into him and ask for his help!